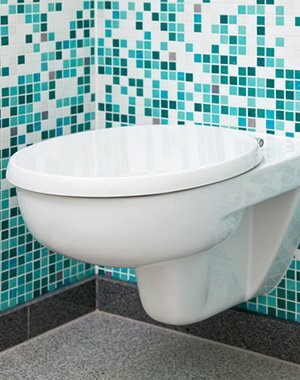 Leaking taps, showers, sinks, basins and toilets? Call H2-pro asap to avoid excessive water bills and bigger home problems. H2-Pro Plumbing service, maintain and install all models and makes of tap ware and toilets. Leaking taps and toilet cisterns are annoying, wasteful and can result in excessive water bills. H2-Pro Plumbing specialises in rectifying these problems. We can supply and install recommended brands of bathroom, kitchen and laundry ware, whether it be a new installation or just replacing your existing taps and/or fixtures. Changing the washer on a leaking tap is only doing half of the job. 9 times out of 10 a leaking tap not only needs a new washer but it needs to be serviced as a whole. Servicing a leaking or stiff tap requires the spindle to be disassembled, cleaned out, O’ring or O’rings replaced and tap lubricant applied. The spindle and tap then need to be reassembled with a new washer and tested with the water supply back on. If leaking persists the breach may need to be re-seated. 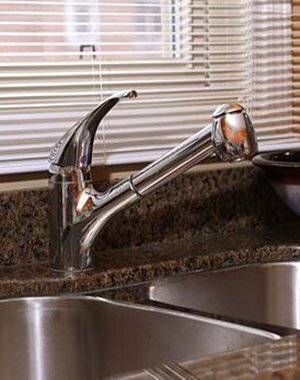 Servicing a tap correctly allows the tap to turn on and off freely, and not leak from the outlet or body of the tap. At H2-Pro Plumbing we ensure that all tap ware is installed to manufacturers standards and guidelines. This means installing mini stops where necessary and pressure limiting valves when the water pressure exceeds manufacturers specifications. Failure to abide by these guidelines will void warranties and potentially cause damage to the product. Leaking shower recesses are most commonly caused by age: cracked tile grout, failed silicone joints, and leaking screens. 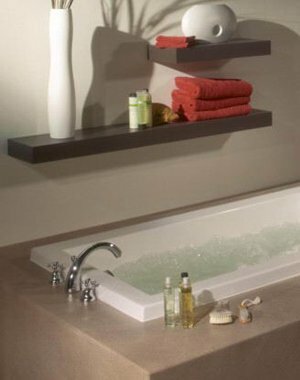 Other causes can be leaking waste pipes or unsealed tap/rose penetrations through the shower wall. Incorrect and substandard installation can also be a common cause of leakage. 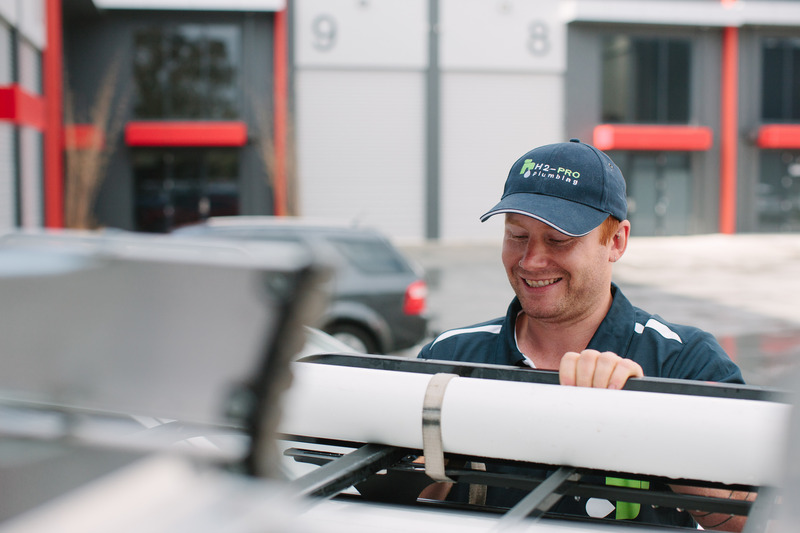 Our H2-Pro plumbers will be able to diagnose the leak in your shower and provide you with expert advice on how to rectify the problem. 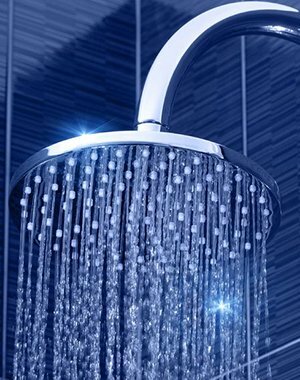 Blocked showers are generally caused by a build up of hair and soap scum lodged in the waste pipe. H2-Pro Plumbing has specialised equipment to remove this matter from your shower drain. Leaking toilet cisterns are most commonly caused by worn inlet and/or outlet valve washers. In most cases, washers can be replaced and the cistern repaired. If you have an old single flush cistern that is leaking it may be a good opportunity to upgrade to a dual flush cistern or a more water efficient toilet suite. If you do wish to replace your suite we can advise you on what model will best suit your existing plumbing configuration. If you have noticed a puddle of water on the ground behind your toilet it will most likely be a leaking flush cone rubber or pan collar. Flush cone rubbers are the seal that joins the pipe from the cistern to the toilet pan. The pan collar is the big rubber that connects the toilet pan to the sewer drain. Flush cone rubbers can usually be replaced with minimum fuss, but pan collars can be difficult as the toilet pan has to be removed in most cases.